Enough of the timid mulled wine and the overload of roasted pork. We would have seriously reached the point of food boredom, had we not been tipped off about exciting new sizzlers and delicious drinks that Raize The Bar has started this winter season. Nothing got our hunger back and made our mouth to drool than the crackling sound and the smoky aroma of sizzlers that kept wafting through Raize The Bar. Perfect to beat the chill with some hot sizzling food and cool tasty drinks, Raize The Bar's winter special menu is just what we needed for an after work chill or a work break. 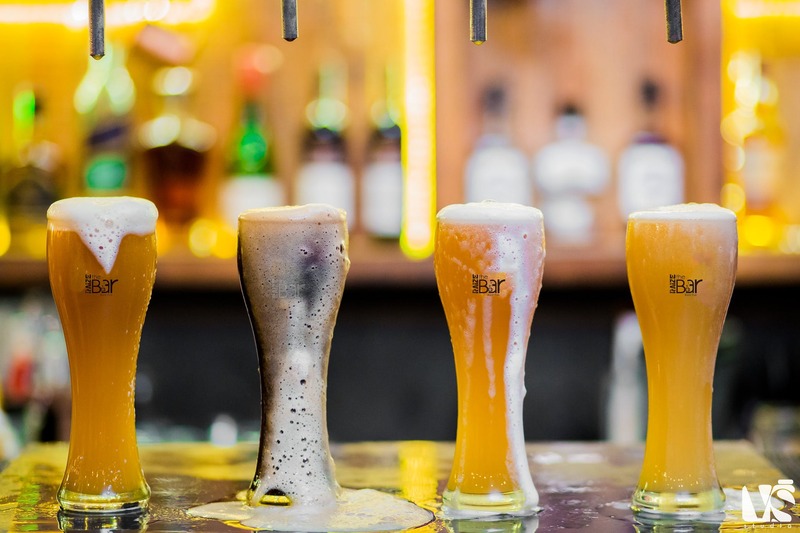 Right at the heart of Salt Lake's CBD, we are already planning on getting the work gang on at this place and raising a toast to some amazing house-brewed craft beer cocktails and sumptuous sizzlers. There are more than five types of sizzlers on the menu this season, and you'll be really spoilt for choice here. We ate our heart out on the Schezwan chicken sizzler, but a must try is the RTB special sizzler that comes with paneer shasliks, herb rice and green veggies. To cool off from the heat you need some beertail, though. Now before you what's that, we'll let you know that it's a cocoktail made of beer. And not just any beer we're talking of. Raize The Bar's own house-brewed beers of apple cider, stout, German wheat, lager, Belgian wit are used to make these cocktails. From a fancy beergarita to crafty sangria - the drinks burst with a refreshing new flavour, so unlike any that you've tasted. No of the bitter beer taste, but rather a refined sweetness lingers on. We of course went tipsy sipping on glasses of cinnamon stout that comes topped with chocolate! The important things to remeber though is to hit up here with your girl gang on Wednesdays for free shots and cocktails. Also, they have a drink of the day around the week, which is available for only INR 99! Happy hours remain on between 12pm to 6pm every da, and you can get your drinks on a 30% discount.